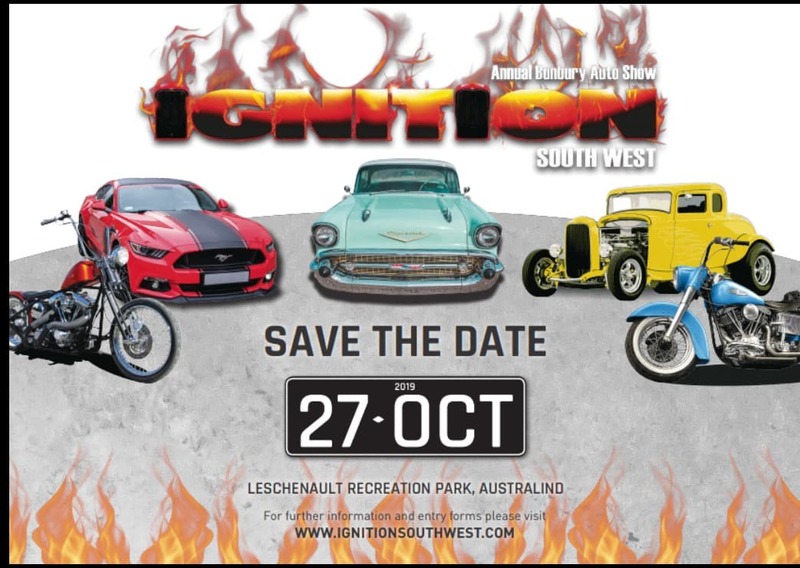 Lock it in your diary and keep checking our Facebook page Bunbury Car & Bike Show Ignition South West for updates of all the cool things we’ll be bringing to this years show! We would like to take this opportunity to thank everyone who supported and come along to our previous Ignition South West Auto Show ‘n Shines. The grand total donated to south west children’s charities over the past 6 years $158,134.86 Lets make this year bigger and better and raise even more money for sick children in the South-West. WHERE: Leschenault Recreation Park, Leisure Drive, Australind. Cost: $10 adults, $5 concession, $5 children 6-13 and children 5 & under free. Please Click Here to go directly to the entry forms page.